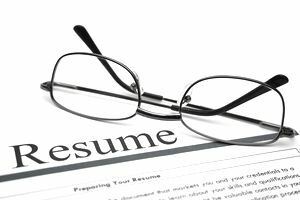 Some job seekers choose to include a resume objective in their resumes. A resume objective states your career goals. It can be as simple as stating your desired job title, or it can show where you have been and where you hope to go in your career. When should you use an objective, and when can you exclude it from your resume? Some people say that objectives are no longer necessary in a resume – at best, they are unnecessary, and at worst, they are outdated. However, a resume objective that focuses on your skills and abilities can actually enhance your resume by convincing employers that you know what you want to do and that you have the skills needed for the job. The most effective objective is one that is tailored to the job you are applying for. It states what kind of career you are seeking, and what skills and experiences you have that make you ideal for that career. A resume objective might also include where you have been and where you want to go in your career. For example, it might state some of your past accomplishments, and then move on to the kinds of accomplishments you hope to achieve in the future (ideally, accomplishments you want to achieve for the company you are applying to). Ultimately, stating an objective is optional, but it can help convince employers that you know what you want and are familiar with the industry. Again, some career experts find resume objectives outdated. However, there are times when a resume objective can be very useful. Whenever you want to emphasize that you are ambitious, that you know what you want in a career, or that you have the skills for the specific job, you could benefit from a resume objective. One specific time you could use a resume objective is when you are changing careers. A resume objective can explain why you are qualified for the job, even if you do not have a lot of related experience. When you’re crafting your resume objective, you should focus on particular skills and experiences that are directly related to the job. Another effective strategy is to include keywords from the job listing in your resume objective. Not only can this increase the chances of your resume getting picked up by a company’s applicant tracking system; it can also emphasize how your qualifications align with the job listing. You should also only state career goals that are feasible within the company. For example, if you ultimately want to become a managing editor at a magazine, but you are applying for a job at a newspaper, do not state this. Focus on how you want to grow within the company. One of the dangers of a resume objective is that you can focus too much on what you want in your career, and not enough on how you will add value to the company. Therefore, while your resume objective should include information on the career that you want, you also want to explain why you are an ideal candidate for the job. Briefly include any information that highlights your experience, including your years in the industry, your particular skill set, and any other qualifications. Include examples of ways you could add value or even improve the company. For example, mention your ten years of successfully reducing budgets, and state that you want to apply these skills to the organization's budget. Seeking a position at XYZ Company where I can maximize my 10+ years of management, quality assurance, program development, and training experience. Seeking a position as a clinical practice assistant for a health maintenance organization, utilizing my award-winning writing, research, and leadership skills. Elementary education teacher looking for a position at a small independent school, where I can apply my five years of teaching experience and my curriculum development skills. Customer service manager seeking an opportunity to use my customer service and management skills to improve customer satisfaction. Looking for a position where I can integrate strategies to develop and expand existing customer sales, brand and product evolution, and media endorsement. Search engine optimization position where I can use my SEO skills and experience to increase site traffic and search engine placement, and apply my 15 years of IT experience. This is a resume sample with an objective. Download the resume template (compatible with Google Docs and Word Online) or read the example below. Elementary teacher looking for a position at a small independent school, where I can apply my five years of teaching experience, STEM-oriented instruction, technology, and curriculum development skills to support student growth and success. Adept in creating positive, engaging, and supportive learning environments for students from diverse backgrounds. Strong team building and collaborative talents, partnering easily with teachers, principals, parents, and support staff to identify student needs, address issues, and promote school spirit. Willingly work after hours and during weekends to ensure success of extracurricular, sports, and fundraising events. Hold current K-8 teaching certification; active member of NAIS, AFT, ASCD, and CEC. Fluent in written and spoken Spanish; well-versed in use of SmartBoard and adaptive learning technologies. Structure and implement dynamic and engaging lesson plans for 1st, 2nd, and 3rd graders, teaching up to 25 students in each class. Collaborate with peers to deliver joint lessons and coordinate student activities including seasonal plays, an annual “Fun Run,” and science fairs. Communicate daily with parents to provide feedback regarding student performance and troubleshoot behavioral issues. Played key role in improving student scores on standardized tests by 38% in literacy and 29% in math. Sponsored after-school Spanish Club and prepared students for participation in Odyssey of the Mind. An alternative to using an objective on your resume is to use a resume profile, also called a resume summary statement or statement of qualifications, which is a brief summary of your skills and experiences written for a specific job opening. Unlike a resume objective, a resume profile focuses directly on how you can benefit and add value to the company, rather than your own career objectives. Another option is to add a resume branding statement to your resume. This statement is shorter than a resume profile or objective – about 15 words – and it highlights your key successes and skills. Finally, a third option is a resume headline, also known as a resume title. This is even shorter than a resume branding statement. It is a phrase that explains your skills and work experience. You can also include more than one of these in your resume. For example, you can include both a resume headline and a resume profile (with the headline closer to the top of your resume). Whichever of these options you decide to do, place it towards the top of your resume, beneath your name and contact information. Make sure you keep your information concise, and use keywords from the job listing in your statement. Even with a resume objective, profile, branding statement or headline, your resume should still fit on one page when possible. Finally, be sure to write a new statement for each job you apply for, so that the employer sees what makes you a good fit for that specific job. Review these professional resume samples and downloadable templates to choose a resume that's right for you.